Lotus Notes Calendars to ICS Converter is a software that can easily export Lotus Notes Calendars into iCalendar (.ics) format. This software makes IBM Notes calendars more accessible because ICS format globally supported by many applications. Moreover, provides an easy-to-use interface to make process more simpler for users. With the help of Notes Calendars to ICS Exporter, one can easily convert NSF file to ICS format in an efficient way. The tool creates single ICS file for each NSF calendars in Lotus Notes. Moreover, the software is also well suited for exporting, alerts, events, recurrence, schedule and other data into ICS file format. When a user converts NSF calendars data to iCalendars (.ics) file format, the software exports complete data along with details from Notes calendars to ICS format. There will be no loss of data or damage in calendar entries and makes it a perfect and reliable process. The software has one advanced feature that makes this NSF Calendar to ICS Converter a perfect tool. As the process begin it displays the conversion details like duplicate count that allows users to check the duplicate entry in NSF calendars. This option makes it more easy for a user to synchronize the calendar data and update emails. The software converts Lotus Notes calendar entry to ICS format which is universally supported by application such as Yahoo calendars, Outlook, Thunderbird, Google Calendar. 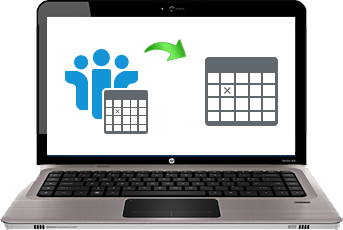 Therefore, this converter gives users an opportunity to view and access calendars in other compatible applications also. After converting NSF calendars to ICS format, the software provides users an option to save the exported ICS file at any desired location of their choice. However, if a user wants then, can create new folder also to save ICS file after conversion. The best part about this Lotus Notes calendar to ICS Exporter software is that it is supportive to all Lotus Notes version. Moreover, the tool carries very simple and easy-to-use interface that make this conversion even better with a specifically added benefits. I used this software when I was unable to open NSF calendar in any other email application due to not supported file format. Therefore, I wanted to export Lotus Notes Calendars into ICS format which is a globally supported format. The tool responds exactly the way I want. To understand the software working, first, I used the trial version of the software to ensure whether it works properly or not. Then, I purchased the software and it successfully converted NSF calendars into ICS format in just a few easy clicks. I was very happy to after opening my converted ICS file. I am completely impressed with this Lotus Note Calendar to ICS Exporter tool that not only allowed me to convert all my important NSF calendars from Lotus Notes to .ics format but also help in checking duplicate emails for better synchronization. Thanks to the developer for developing such a great utility and help me in such an amazing way. Lotus Notes Calendar to ICS converter software is an amazing utility that makes it more clear to its user how to export Lotus Notes calendars to .ics format in a more reliable way. It is not possible for a user to open NSF calendar on any other email application. However, with the help of Lotus Notes calendars to ICS converter tool, one can easily export Lotus Notes to ICS format, which is universally accepted by all application. Apart from this, a user can also migrate calendar entries, alerts, events, etc., from Lotus Notes to ICS format. The basic need of exporting Lotus Notes calendars to ICS format is to make more easy for a user to access the calendar anywhere they want. As ICS file format is supported by many email application such as Mozilla Thunderbird, Google Calendars, Yahoo Mail etc. However, it increases the application that a user can use to view Lotus Notes Calendars. After converting Lotus Notes calendar to ICS format, the calendars become portable and can easily be open on available email application without any hassle. The trial version of software also available before purchasing the tool. A user can easily avail these benefits using this amazing utility, which is the best solution for reliable Lotus Notes calendars to ICS conversion. However, the trial version can only export 15 entries from the calendar to ICS format. In order to have full access to the tool, a user needs to purchase it from the official website.